These bright rainbow hair extensions are perfect for making a lasting impression! The rainbow clips will hold hair perfectly in place. 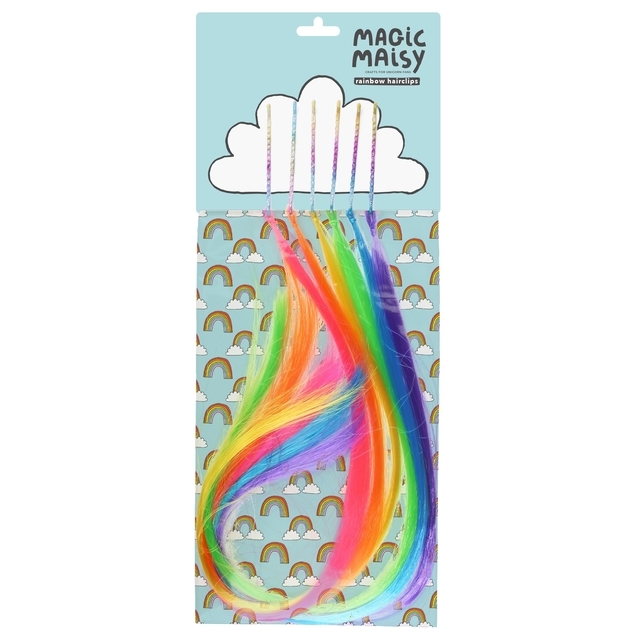 Wear one at a time or use all six and turn your hair into a beautiful rainbow mane!